If you are a grandparent, opening a 529 plan with a grandchild as a beneficiary can have both direct and indirect tax benefits for you while providing a valuable benefit for your grandchild. Best of all, you shouldn’t hear any protests about how you’re spoiling your grandson or granddaughter again. 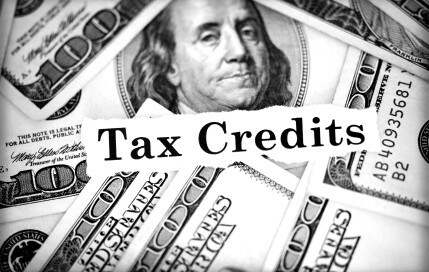 Still, watch out for pitfalls associated with 529 plans imposed by the Internal Revenue Service and by individual states that can potentially ruin your gift. There are two types of 529 plans: prepaid tuition and savings account assistance. Both types of plans are administered by individual states. Unlike in-state tuition rates, there are no residency restrictions imposed for purchasing either type of 529 plan. You or your grandchild can live in any state or even in two different states. You can also change beneficiaries for 529 plans as long as the new beneficiary is part of the same family. So when Jeanine finishes college, you can make her brother Billy the new beneficiary. However, some states place age restrictions on beneficiaries, which may be an issue if you intend to fund a plan for a grown grandchild. Prepaid tuition plans provide funds that can be applied to pay tuition for colleges and universities located within the state. The growth rate for a prepaid tuition plan is pegged to the tuition rate of the particular educational institution to which it is linked. If the tuition at a particular school quadruples by the time the beneficiary is ready to attend, the value of the 529 plan quadruples as well. Financial aid assistance plans provide cash benefits that the beneficiary can use for qualified expenses at eligible financial institutions. Eligible educational expenses include all the usual suspects – tuition, fees, room and board. In addition, under the American Recovery and Reinvestment Act of 2009 (commonly called the stimulus), computer equipment, software, peripherals and the cost of Internet access also count as eligible educational expenses. So, purchasing accounting software for finance major is totally OK. That Wii Fit game console on the other hand, not so much, unless the beneficiary is majoring in physical therapy. Both types of plans are administered by individual states. 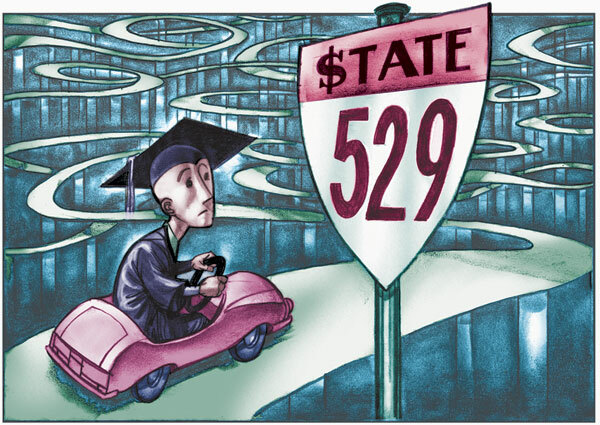 Unlike in-state tuition rates, there are no residency restrictions imposed for purchasing either type of 529 plan. You or your grandchild can live in any state or even in two different states. You can also change beneficiaries for 529 plans as long as the new beneficiary is part of the same family. So when Jeanine finishes college, you can make her brother Billy the new beneficiary. However, some states place age restrictions on beneficiaries, which may be an issue if you intend to fund a plan for a grown grandchild. As a grandparent, you may fund a separate 529 plan and contribute as much as $14,000 (for 2013) to each 529 plan fund without incurring gift taxes. You and your spouse can contribute up to $28,000 in a 529 plan for each grandchild without incurring gift taxes. As an alternative, you an fund up to $65,000 (or $130,000 for married couples) in the first year of a five-year period without incurring the gift tax, as long as there are no other gifts made to that particular beneficiary within the same five-year window. If the cost to attend a particular educational institution is lower than the limit set by the IRS, though, you can only fund the plan to meet the lower amount. Some states allow grandparents to deduct contributions to 529 plans from their state income tax returns. Inquire with a plan administrator for the details. However, a prominent myth is that federal income taxes are also deductible. This is absolutely NOT true. But grandparents do receive indirect tax breaks from contributing to 529 plans – so long as the funds are used for qualified educational expenses by the beneficiary. There are also no capital gains taxes on earnings. Plus, each contribution reduces the value of your estate, which may result in lower or no gift taxes for your heirs. But if the funds are use for non-qualified expenses, the owners of the funds are hit with income taxes plus a penalty of 10 percent on any investment gains. Instead of braving the crowds trying to find that elusive gadget that happens to be the “it” gift this year, give the gift that keeps on giving – to you as well as your grandchildren. Even if you start off with a small cash gift now, by the time your grandchild is ready for college, he or she will have a tidy sum stashed away with no adverse affect on financial aid eligibility. You will save wear and tear on your nerves while providing a gift that can truly change your grandchild’s life for the better. Hiring Deadline. Employers hiring qualified veterans before Jan. 1, 2014, may be able to claim the WOTC. The credit was set to expire at the end of 2012. The American Taxpayer Relief Act of 2012 extended it for one year. Flexible spending accounts (FSAs), often called a flex plans, are not new, but they are improved. Participants use them to set aside money pre-tax, to pay for out-of- pocket medical costs such as co-pays and other expenses not covered by insurance. Employers like FSAs because they don’t have to pay employment tax on the amounts employees use to fund their accounts. It’s a win/win, but despite the name, one thing these accounts have not always been is flexible. A few years ago the IRS added an optional “grace period” to make FSAs better, and now they’ve improved them again, by allowing a carryover. A flexible spending account is an employer-sponsored pre-tax (or “tax free”) account that you can use to set aside money to cover eligible health and/or dependent care expenses. At the beginning of the plan year, January 1st, your employer will ask how much you’d like to contribute to the account. Total any expenses that you predict won’t be covered by your insurance, like the braces your child will need or on-going rehabilitation treatment. This amount is then taken out of your paycheck in equal installments each pay period, and put into a special account by your employer. Although there are limits to how much you can set aside, and up until now, any excess leftover after the plan year was forfeited, the benefits of having an FSA money are numerous. An FSA is included in your employer’s benefits package for a reason–it reduces your income taxes. The contributions you make to your flex plan are deducted from your pay before any Federal, State, or Social Security taxes are calculated, and are never reported to the IRS. In other words, you’re reducing your taxable income while at the same time increasing your spendable income. Making the most of your FSA could save you hundreds of dollars in taxes per year. A basic example of this would be if, say, you were in the 15% tax bracket. 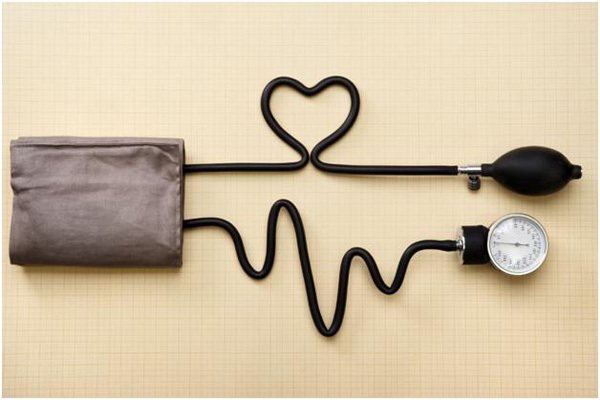 You know you’ll spend $1000 on eligible health care expenses, so you set it aside in a flex account for the year. Your “take home” pay is $1000. If you opt out of putting it into an FSA, but still spend that $1000, you’ll have paid $150 in taxes to the IRS. Your “take home” pay is then only $850. Without an FSA, you’d still pay the amount not covered by your insurance, but you’d be using money from your paycheck after taxes have already been taken out. The chart below, from FSA Feds, gives a real example of the tax benefits of an FSA. With a dependent care FSA, you can save money for expenses used to care for dependents while you’re at work, like day care costs for children under the age of 13, or adult care programs for senior citizens that live with you. Also, some adoption costs can be included as expenses. The IRS lists the ins and outs of the various FSAs and HSAs here, but take note: If you’re single and don’t expect to incur any health costs besides a few $25 copays, an FSA may not be worth it. So, FSAs allow employees who participate to pay for medical costs with pre-tax savings. Employees decide how much to put into the accounts through payroll deductions. As they incur an eligible expenses, they are reimbursed from the funds in their FSAs. The maximum a participant can put into an account is $2,500, although employers can set lower limits. There has been one potential drawback with FSAs. Originally, they were inflexible, as in, use-it-or-lose-it. Any funds left in an individual’s account at year end were forfeited. This restriction caused some problems. Many employees were leery of participating, for fear of losing their hard earned money. Some participated, but underfunded their FSAs to avoid forfeiting money if they failed to spend it. Or if they got to the end of the year with an unspent balance, they would go out and make purchases they wouldn’t ordinarily make, like an extra pair of prescription sunglasses, just to use up the money. A few years ago, a grace period was added to FSAs to encourage greater participation. The grace period is 2 and ½ months, after the end of the year during which employees could spend out the balance of their FSA funds. A grace period is not automatic, and must be elected by the employer. This feature improved FSAs, but the newest addition should prove even better. Now FSA participants who do not spend out their fund balances by the end of the year, may carry over up to $500 into the following year. So an employee who ends the year with $400 in his or her FSA and has chosen to set aside $2,000 into the new year’s plan will have $2,400 to spend in the new year. Again, the carryover is not automatic. An employer must make the election to allow the carryover. The upper limit to carryover is $500, but employers may choose to allow a smaller carryover. Note: A plan cannot allow both the carryover and the grace period. Employers must choose one or the other. So, if you have a plan in place which currently allows a grace period, you must elect to end the grace period in order to choose the carryover. When does this kick in? It can begin now for employers who amend their plans to allow it. Normally such an election would have to be made before a plan year starts, but because this law is new, employers can choose it for 2013 and going forward. For more information on the tax savings of an FSA, contact Optima Tax Relief today. This article was co-written by Teresa Ambord and Brenda Harjala, staff writers for Optima Tax Relief. The refund checks are in the mail, and millions of Americans are feeling a bit flush this tax season. You might be one of the smart Americans who plan to use their refund to reach a financial goal. According to a TD Ameritrade survey released last month, of the almost half of Americans expecting a check, 47% plan to save some of it and 44% plan to pay off debt with the money. Only 15% wanted to use the whole thing to splurge on something discretionary. While the savers will mostly go through with their plan, TODAY reports that they still might treat themselves to something, even unconsciously. Research shows that there’s an immediate, though small, bump in spending among people who receive tax refunds the week they get it, even if they planned on saving it. Then there’s another small bump in spending in August, indicating people might be using the money to augment their summer vacation. So you might as well make it official. Set aside 10% of your refund to treat yourself, you deserve it for navigating that tax maze! Then use the rest to help reach a financial goal or two. The post Study Says Even Savers Spend Their Refunds appeared first on SuperMoney!.